Cute, fun, and easy bracelets with a video tutorial! https://www.cutoutandkeep.net/projects/diy-easy-beaded-bracelet-2 • Posted by Pooja A. 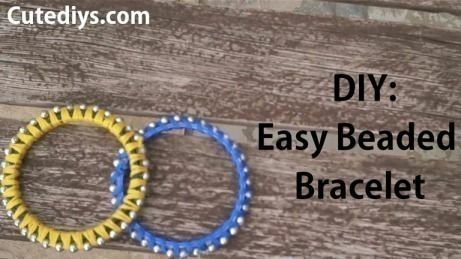 This bracelet tutorial features an easy-to-follow video along with step-by-step instructions and a final product picture. This cute bracelet is very easy to make and requires very little time or materials, even the youngest of crafters will be able create these gorgeous bracelets with help from their parents. Glue beads around the bangle.